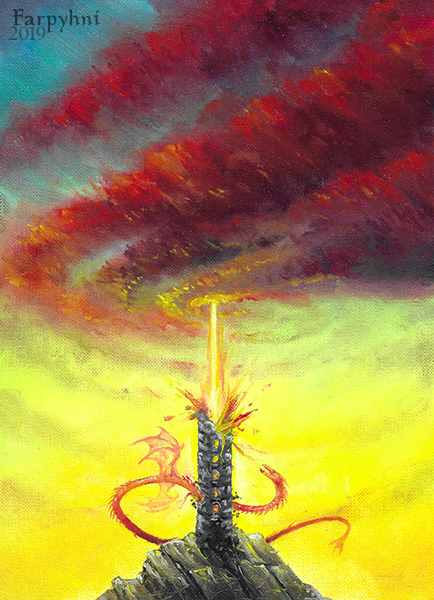 When the tower collapsed under the wrath of the sky, the eternal serpent was set free and stared at the horizon it longed for decades. Finally dried and varnished. First quick oil painting; experimental. The scene belongs to my worldbuilding project.